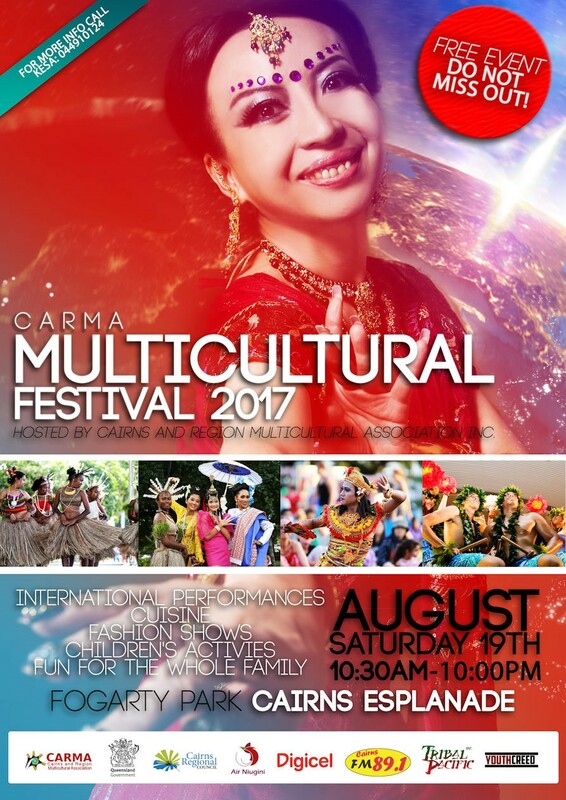 CARMA Multicultural Festival 2017 will be held at Fogarty Park, Cairns on 19th August. This is certainly a highlight of Cairns Multicultural Month for its international performances, world cuisine, fashion shows, and family fun activities. First held in 2001, the festival is an annual celebration organised by the Cairns and Region Multicultural Association to showcase the rich cultures of the region and to bring communities together. The 2016 ABS Census shows that over 40,000 people living in Cairns are born overseas compared to 31,601 (20.2% of the total population) from the 2011 Census.